The early Yamaha Superaxe cases take the shape of an obelisk. Quite unique in those days. 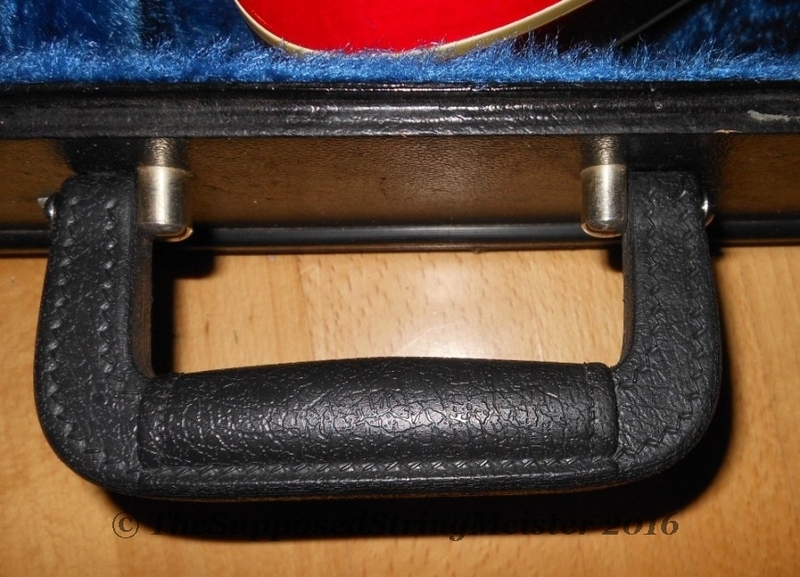 The original Yamaha case handle does not always last the distance. Here I have documented one way to fix these broken handles. It will only work for the handles that have brackets as per the photo below. 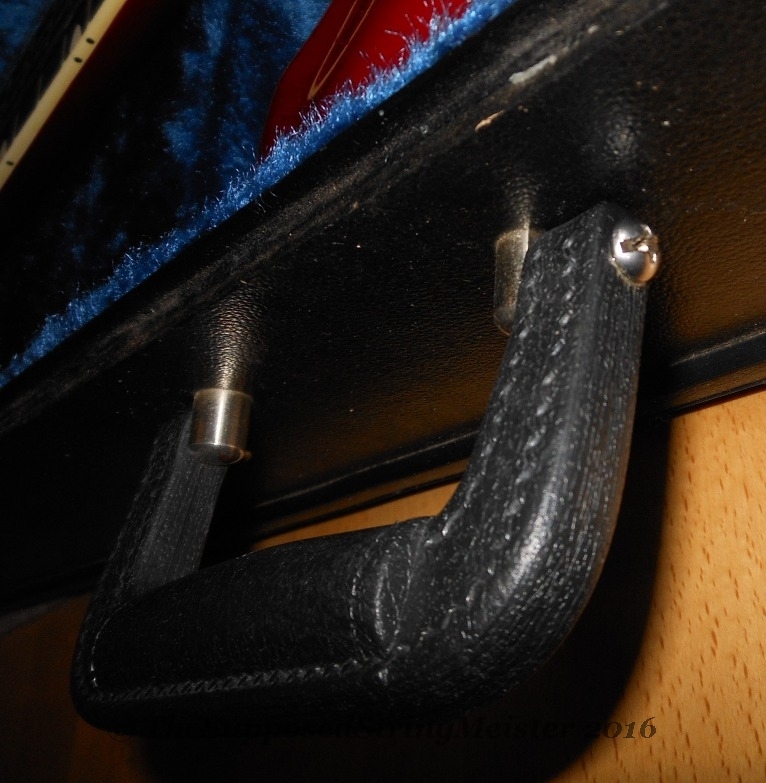 There are a number of different cases Yamaha supplied with different handle attachments. Quite often the handle breaks leaving only the handle brackets in place. These brackets can be tightened if need be. 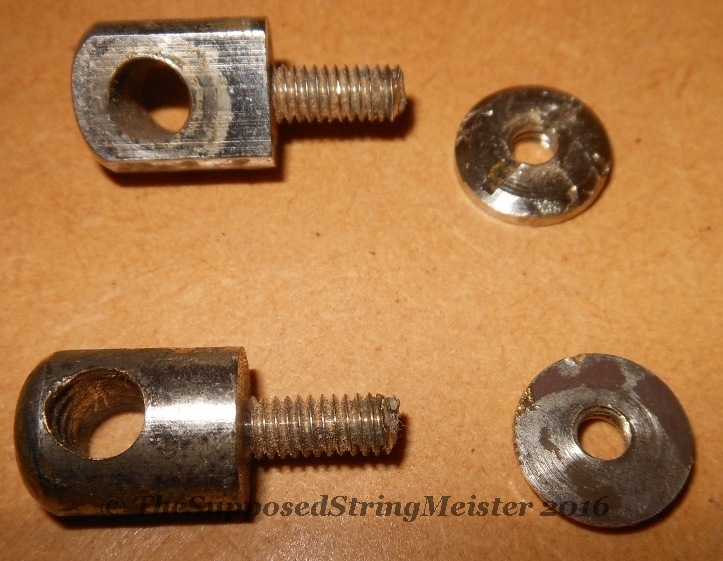 To do so, you need to gently remove the blue lining to get access to the brackets and then tighten the circular nut. Use pliers as that is easier. Then put some superglue on to stop it from loosening up again. Fold back the blue lining and glue in place. 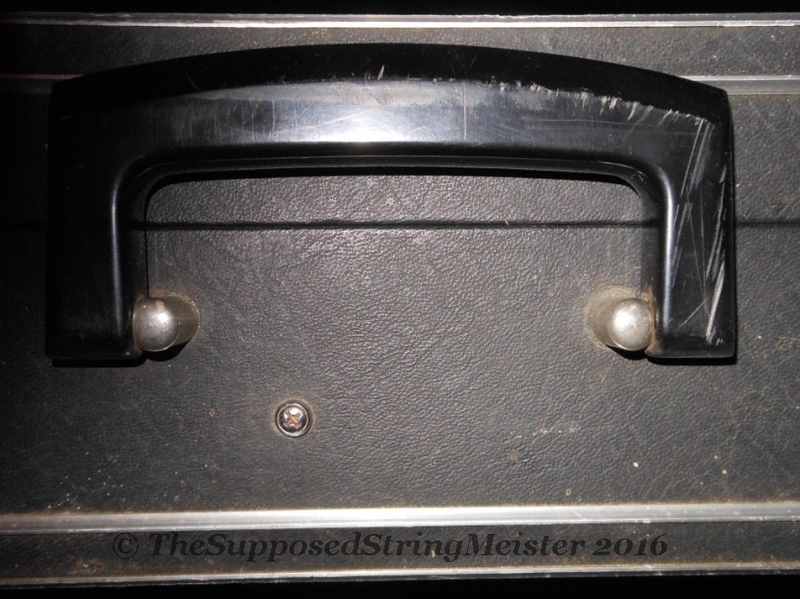 The distance between the outsides of the two brackets is a perfect fit for a standard Stewmac handle. 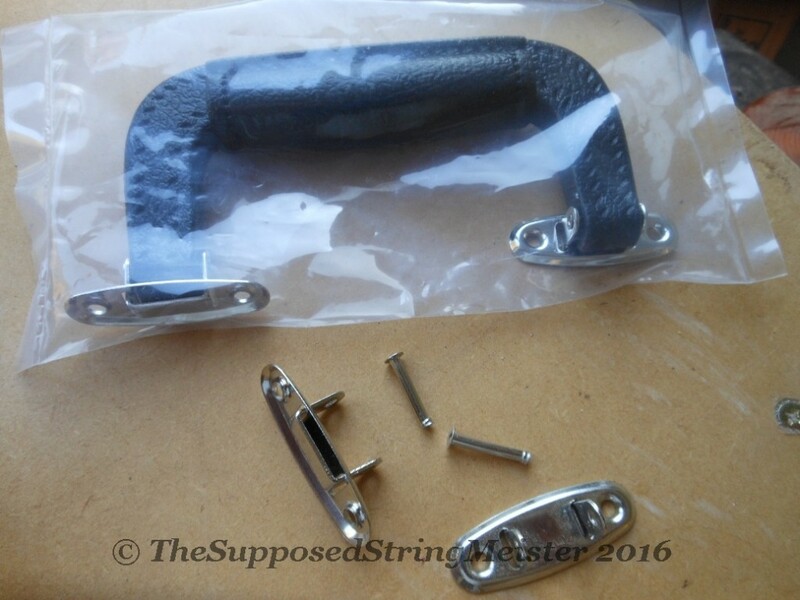 Remove the brackets from the Stewmac handle. See photo above. Find a stainless steel bolt that will be strong enough to carry the case. I used a 4mm bolt that I ground the end bit down to fit the hole in the original brackets. The remainder stays at 4mm. Then drill through the new Stewmac handle bracket holes with a 4mm drill bit so the bolt will fit through. Once it all fits nicely together, put some resin in the widened handle holes so that the bolt will stay in place. Be sure that no resin ends up in the original bracket holes as you want the handle to move freely 'up and down'.